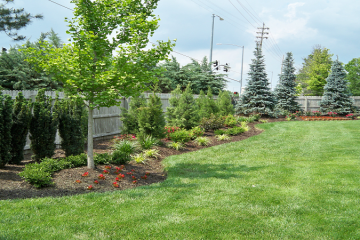 True Turf LLC has been serving Johnson County area residents since 1986. Our continued growth is in large part due to referrals. Quality of work and customer service are two areas we focus strongly on as we continue to grow. We are fully insured and registered with the Kansas Department of Agriculture. 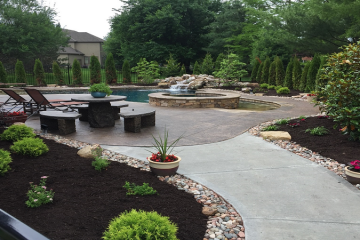 We utilize the latest techniques, clean, well-maintained equipment, and top quality products. We offer a wide variety of services as you will find here on our website. Give us a call or simply request a free estimate online. I've been a customer for four years - always reliable and cost competitive. Peter is a great guy and I've enjoyed being a customer! Thanks for the great job. The yard looks terrific! I wanted to take a moment to thank you for the wonderful job your company is doing taking care of our lawn. 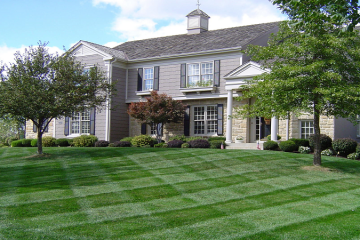 We have tried several lawn companies and we sincerely think our lawn looks better than it ever has. As homeowners, we have seriously struggled with our lawn over the last 20 years and we are so pleased and proud of it now. Our neighbors all comment on it and people have asked who we use for our lawn services. We are happy to tell them who we use and as business owners we know how important positive referrals are. It's great to see a smaller company such as yours do a much better job than the big corporate giants. We can really appreciate good quality service coming from a small business trying to establish themselves as we too are a small business. Thank you again for a job well done! I just wanted to let you know what an exceptional job the three gentlemen did doing the fall clean-up and mowing today. I greatly appreciate the extra service getting my yard ready for winter. Thank you for being a wonderful company! Thank you so very much for your care and service. Our yard looked beautiful all summer! Thanks for the beautiful lawn and great service!